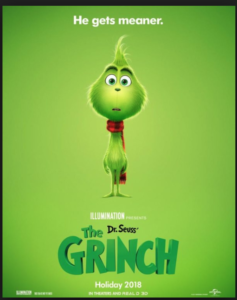 The new adaptation of How the Grinch Stole Christmas left me thinking about what the modifications of a classic story says about our society and its expectations. 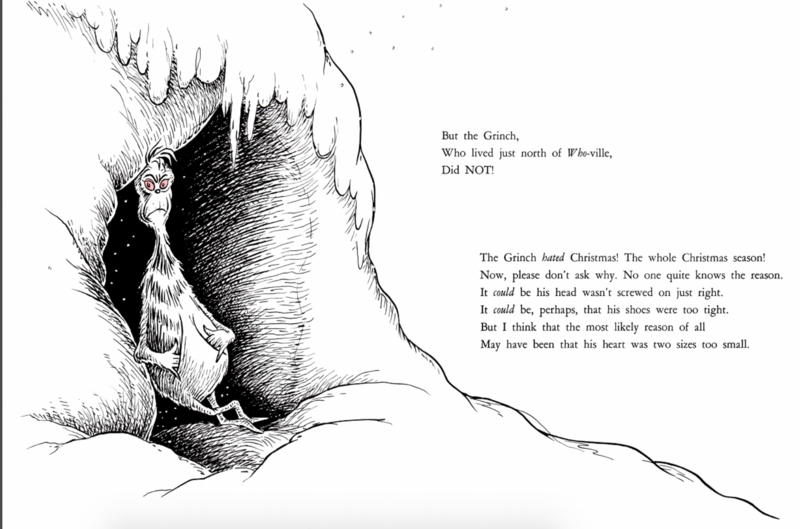 From the depictions of the Grinch himself, his backstory, and song adaptations, The Grinch offered a more relatable villain deserving of the audience’s sympathy. In the book published in 1957 and the cartoon produced in 1966, the Grinch was absolutely despicable. He was awful to his dog, Max, and the illustrations of him made him creepy, monstrous, and inhuman. He slithered across the floor, his head rotated 360 degrees like a creature out of a horror movie, and his red eyes and dark wrinkles made him outright scary. In the latest version, he was fluffier, cuter, more like a 53-year-old, lonely recluse with a potbelly. One of the movie posters even showed him as a child, which evoked sympathy associated with the innocence and vulnerability of children. The original story did not explain why he was mean. Whereas, The Grinch offered a sad backstory of how he grew up in an orphanage and never had the opportunity to celebrate Christmas. 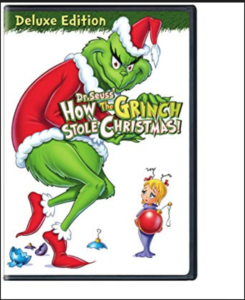 Another obvious difference was the placement of the iconic song “You’re a Mean One, Mr. Grinch.” In the old cartoon, the song was played during the movie to describe his wicked personality and behavior (with lyrics like “Your soul is an appalling dump heap overflowing/with the most disgraceful assortment of deplorable/rubbish imaginable.”). It was also more ominous because of the singer’s (Thurl Ravenscroft’s) deep, masculine voice. In the newer version, the song was played during the closing credits. This diminished the depiction of the Grinch’s wickedness. The mood of the song was also less ominous. Tyler, the Creator’s voice isn’t as deep as Ravenscroft’s, and the kids singing in the background made the newer version of the song more playful and light-hearted. 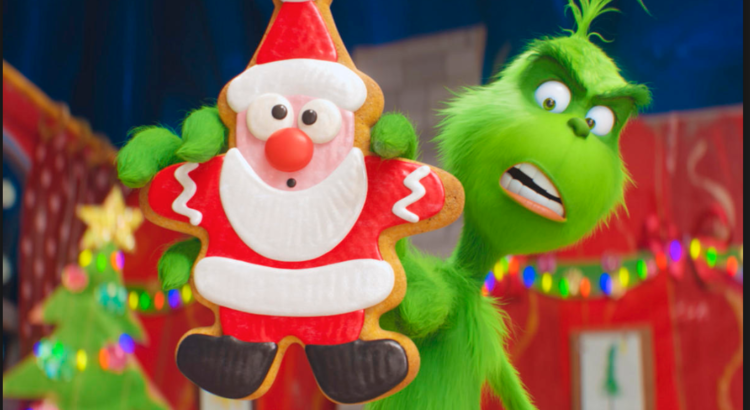 Other elements of the movie also helped to create a Grinch deserving of the audience’s sympathy. One of the first scenes in the movie was the Grinch heading to the grocery store in Whoville because he ran out of food. This scene showed that even though being in Whoville triggered traumatic childhood memories for the Grinch, he was still helplessly dependent on the town for his survival. There were other more subtle moments that evoked sympathy as well. 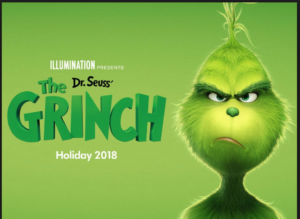 For example, one of the characters pointed out the bottle of green hair dye the Grinch bought (implying he was getting old and needed to dye his greying hair). The act of hiding the physical effects of aging elicits sorrow and grief which shows a more human side of him. The Grinch invited me to examine why the producers thought these modifications to the story was more palatable for a modern audience. Why do we need the Grinch’s gloomy backstory? 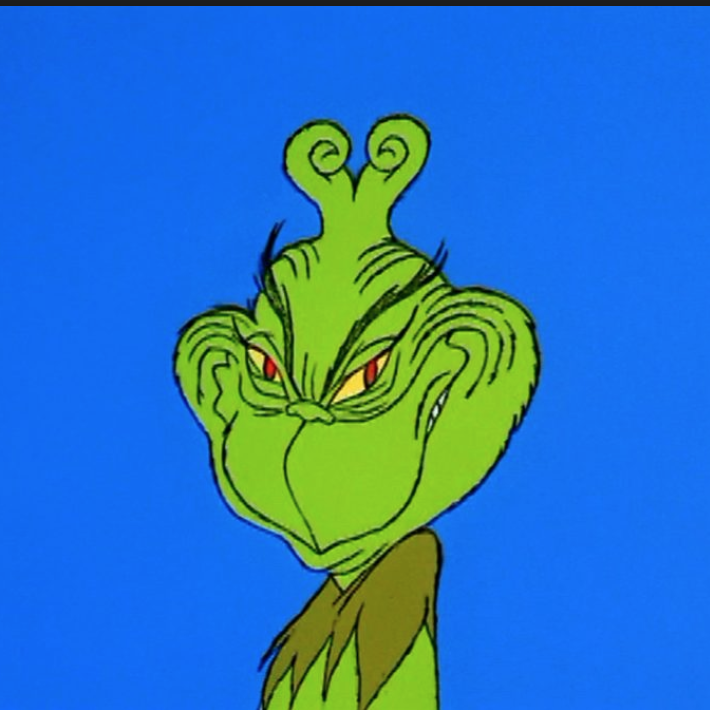 Why do we need a friendlier Grinch who’s nicer to Max? I see this trend of humanizing the villain in other movies as well. Producers seem to be moving away from the ‘bad guys’ versus the ‘good guys.’ Now, there are more and more villains who aren’t ‘purely’ bad. Think of the 1937 version of Snow White and the Seven Dwarfs; the queen was depicted as ‘pure evil’ with basically no backstory. She dies and the audience is supposed to think that she got what she deserved. In the 1999 version of Tarzan, Clayton is driven by greed. He accidentally hung himself in the end, and the audience is meant to feel that justice is served. The list of movies with ‘purely evil’ villains goes on. Now we have more and more movies that humanizes the villain: Maleficent, Te Kā in Moana, and Thanos in Avengers: Infinity War. Maleficent is cruelly betrayed by Aurora’s father. Te Kā was once the benevolent island goddess Te Fiti, but after her heart was stolen by the demi-god Maui she became a destructive lava demon. Thanos is a complicated character who killed half of the creatures in the galaxy to prevent overpopulation and the destruction of entire planets. There was a degree of selflessness and sacrifice in his actions; whether or not he is ‘evil’ or ‘bad’ is a controversial topic. It seems like now, it is not enough to have characters who are ‘purely evil.’ Is it because movie-goers demand more complex villains, or that producers are more inclined to delve deeper into a character’s psyche? I’m not sure. But the humanization of classic villains, including the Grinch, is definitely part of a larger societal trend—perhaps one that strives to understand different perspectives, and to bridge the gap between communities that antagonize, silence, and dismiss one another. Minna believes in three things: Milk chocolate. Happiness. Narratives are the way to people’s hearts and impactful solutions.